Hey! I’m Jay Frechette and the Community Manager for Respawn and you’ll be seeing lots more of me [and folks from the dev team] in the future. It’s been a surreal day for us. Thank you so much for playing Apex! I wanted to quickly check in to give you all a quick recap of the day and what’s coming this week. We had 1 million unique players in 8 hours. Amazing! This week you can expect daily check ins like this. Some will be short and sweet and other times we might have a lot to talk about! We will always strive to be honest, direct, and transparent with you about what and why we are doing things. 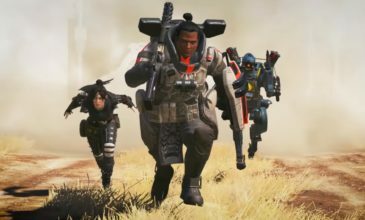 Our site www.playapex.com has lots of great content and info to dig into. Highly recommend checking out the Legends pages and digging into the blogs we have there already. More blogs will be coming and I’d love to hear your ideas for things to talk about! Making of? Interviews? Tomorrow morning [PST] we’ll be pushing a small server side patch to address some stability issues. We’ll be providing patch notes when it’s live. Lastly, this was overall a pretty smooth launch but as expected when launching a big game for the first time, we encountered some issues that were mitigated quickly. There is still work to do with all of these but we have people on it and working with our partners at Amazon to get it resolved. PC started around 3:30pm and lasted about 20 minutes. On Xbox, you currently cannot purchase currency in-game. We are aware and actively working to resolve it but in the meantime, you can get around this by purchasing directly from the Xbox store on web. Alright I really need to go to bed! What a crazy few days but it’s been totally worth it. I’ll see you all tomorrow with patch notes for the server update we’re working on! This game is glorious. I really enjoyed the Titanfall series but have not been a fan of Battle Royale-type games… until now. I can’t get enough of it. Most of my complaints are “quality of life” type fixes which i can only expect from a zero-pre-hype, massive multiplayer, FREE game. Kudos kudos kudos all around. I look forward to donating my time and probably finances in the foreseeable future. One teeny tiny “unique” piece i would suggest to have a personal touch to my comment, kill the Mozambique. Thank you for you time.